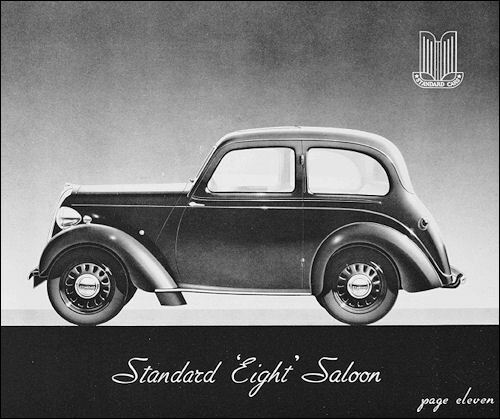 Standard Eight Saloon is substantially similar to the 1940 model, the main external difference being the omission of the louvres in the bonnet sides. A minor modification is that the transverse leaf spring of the front suspension is now anchored with six instead of four bolts. Also, the three-speed gearbox is replaced by a four-speed. 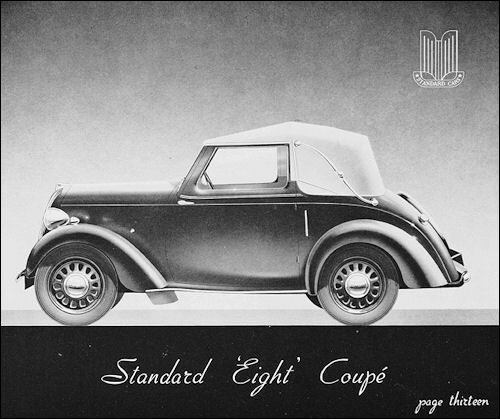 Eight Tourer and Drophead Coupé is also offered. The latter have wind-up windows and no door cut-outs. 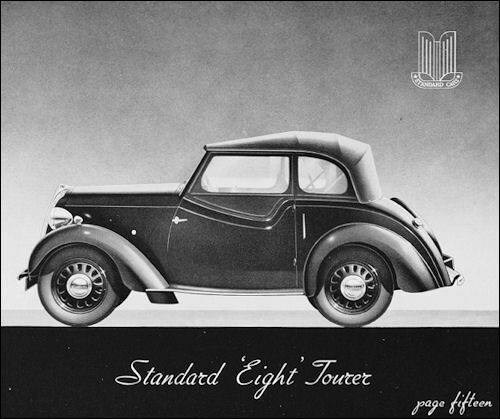 Standard Twelve Utility is produced for export and is based on the military 12 HP chassis with beam type front axle and semi-elliptic leaf springs (the only post-war Standard car without IFS). It also retain the rectangular military type instrument panel, set in a wooden dash panel. Below the rear window is a small bottom-hinged door, providing access to the loading space behind the (folding) rear seat. This door lid, when left open, form a strong platform for long or additional loads. 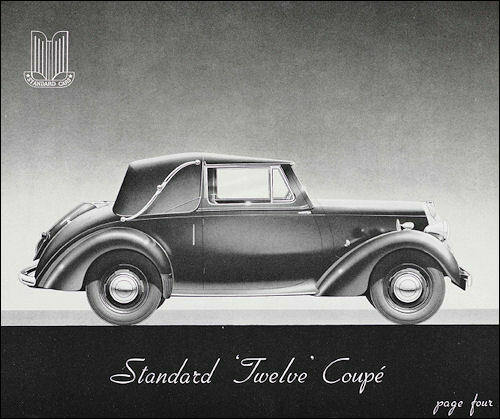 Standard Twelve 1609-cc 11.98 HP chassis is produced with four-door saloon bodywork, identical to that of the Fourteen and Drophead Coupé. 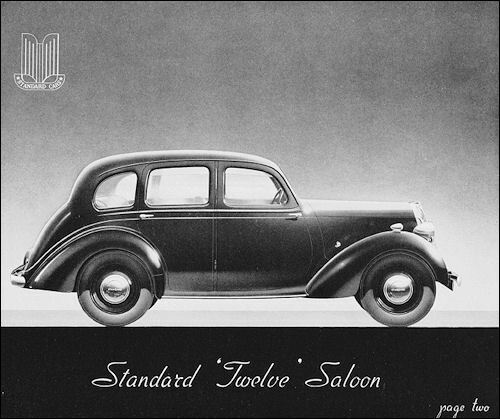 Standard Fourteen Saloon and Drophead Coupé are generally similar to the corresponding Twelve models but have a larger-bore 1776-cc 13.23 HP engine. Prices are the same, £479 for the Saloons, £505 for the Coupés. 8hp, 12hp and 14hp are now joined by Triumph 1800 in Roadster and Saloon form using engines surplus to Jaguars requirements. 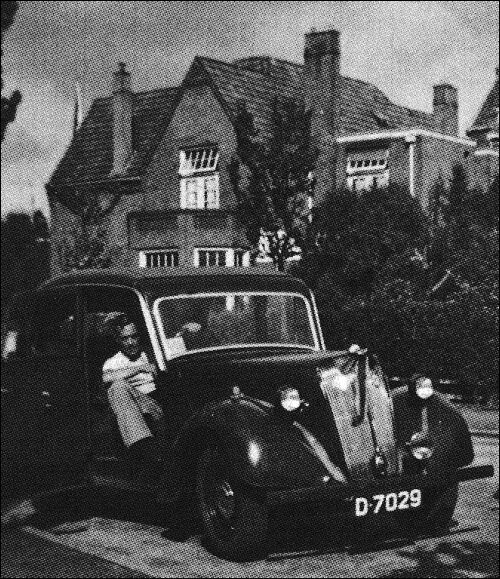 Jaguar is now making their own cars of 2½ and 3 litre capacity utilising their own engines, although they still use Standards 1½ litre unit. 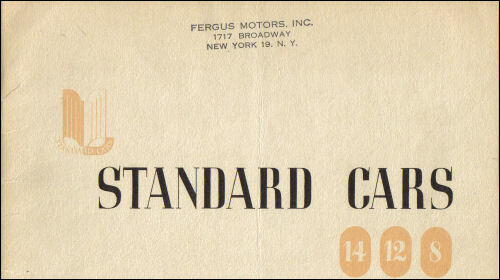 September 1946 - last years 4WD vehicle was replaced by the first of the Ferguson tractors.